Logo-Blox™ Ballpoint Pen is made of ABS plastic cap-off ballpoint pen with Logo-Blox™ design. 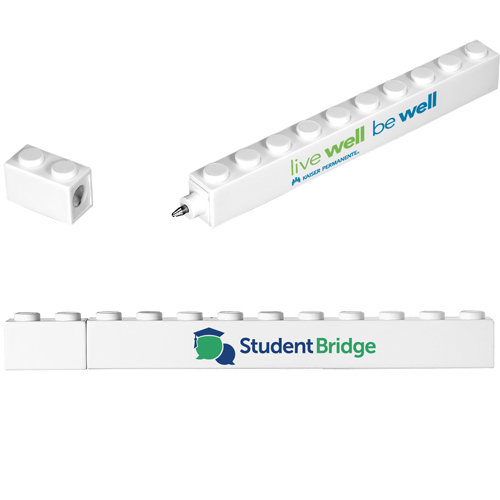 Snap together with other Logo-Blox™ items. Bulk / 15 lbs / 600 pcs. / 8x16x12 box.